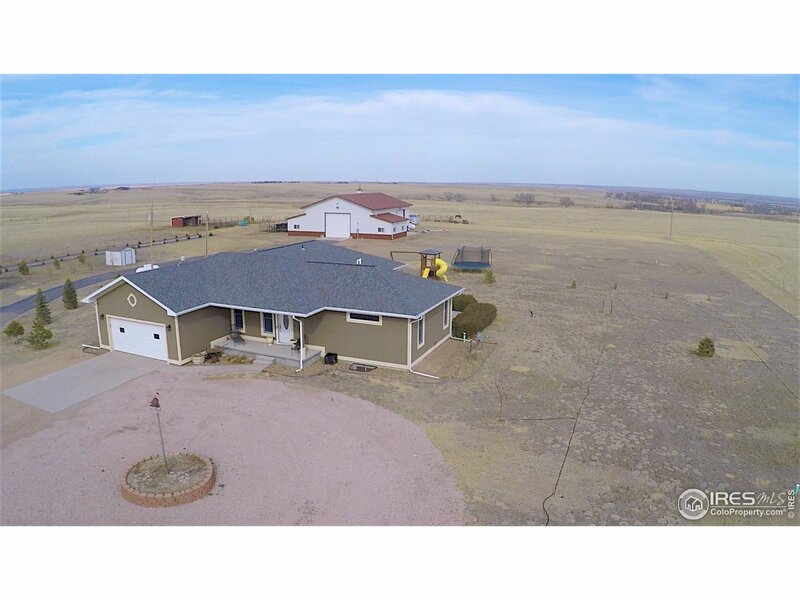 "Come see this charming ranch with an open floor plan and breathtaking panoramic views of the Northeastern Plains! 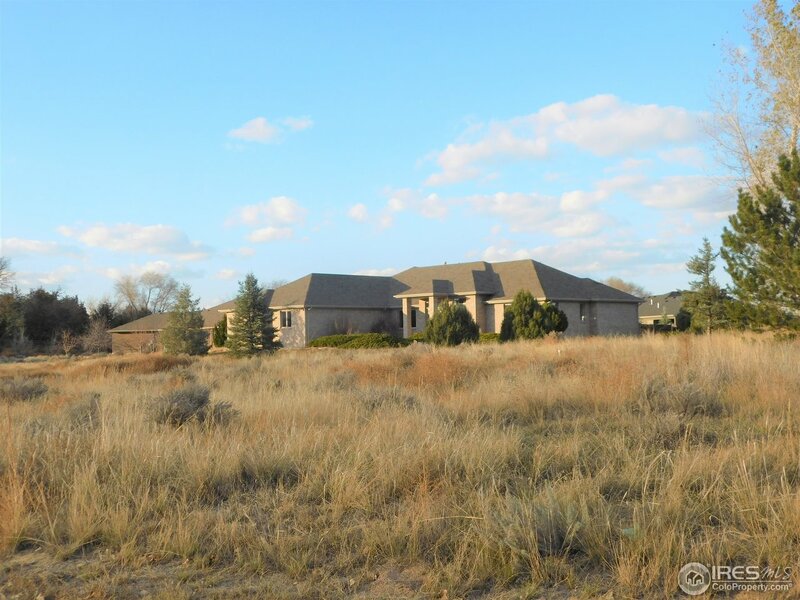 This 5 bedroom, 4 bath newer constructed home sits on 74 acres of fenced in pasture land. Two master suites (one up, one down) and a luxury jetted tub. 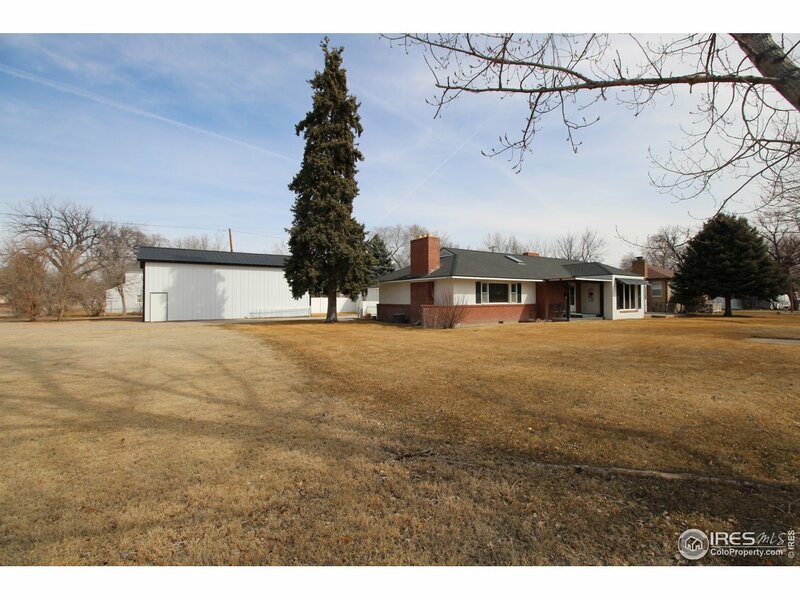 Large 3528 square foot barn with a cement floor and living quarters. 2 livestock stalls and a wash room. Another heated shop for a workspace or vehicle storage. Call today to view this one of a kind property!" "Stately brick home in Hillside subdivision, sitting on top of the hill surrounded by natural landscaping with sunset views. Main floor features a formal living rm, family rm, dining room, utility room, breakfast area off kitchen with all the appliances and huge master suite with double walk-in closets and large master bath. Basement has 3 large bedrooms, a jack-and-jill bathroom, and large rec room. over-sized garage, fenced yard area. 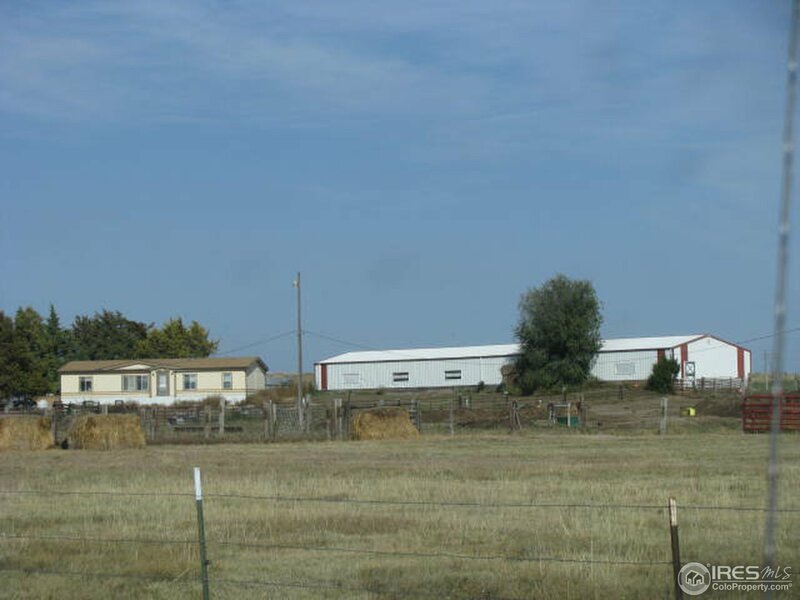 Rare opportunity to own a home in this small subdivision." 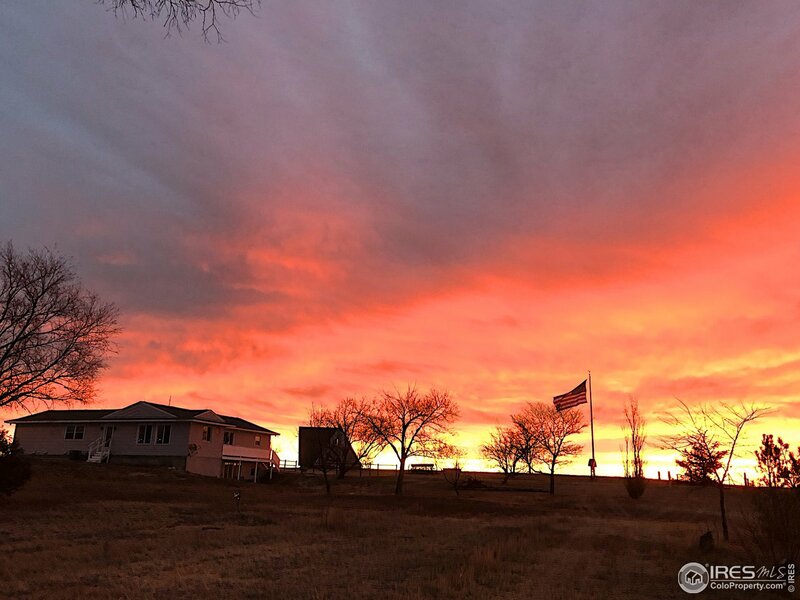 "Spectacular 360 degree views of the Northeast Colorado Plains, featuring some of the best sunrises and sunsets nature has to offer. 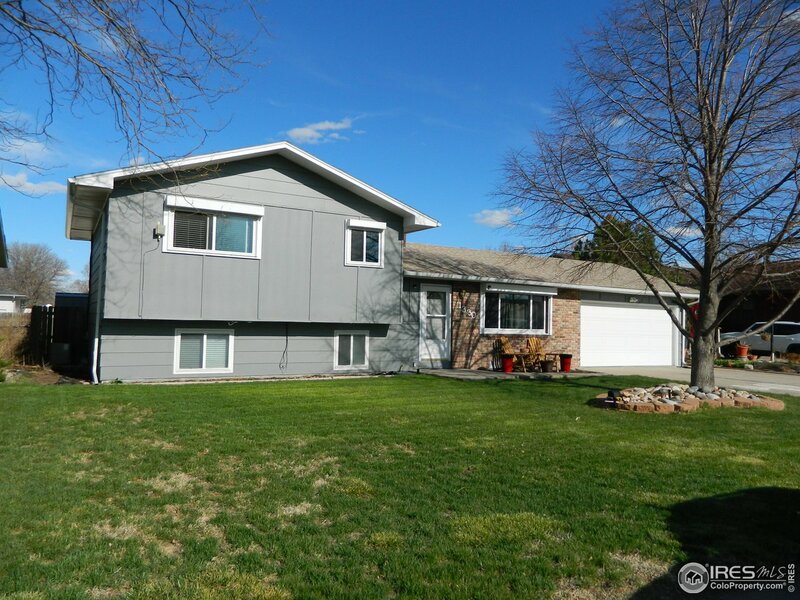 Many recent updates to this 5 bedroom ranch style home, includes a walkout basement. 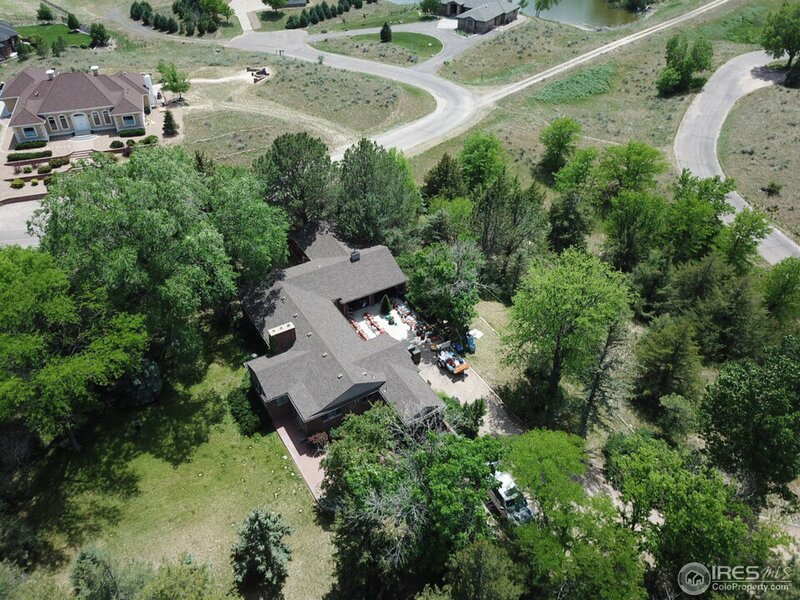 This exceptional horse property features 82 acres, newly constructed 40x96 horse barn with heated/air-conditioned Tack Room, Pig/Goat pen, Hay shed, Chicken coop, cattle wind break and numerous other outbuildings. Situated minutes from North Sterling Reservoir." 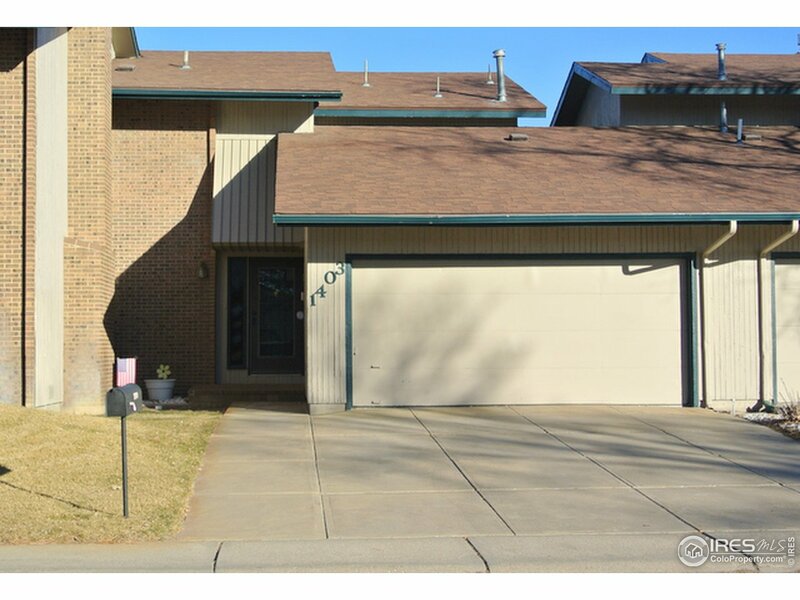 "STEP INSIDE THIS LARGE HOME and be surprised at the 5 bedroom, 3 bath ranch style with full basement. 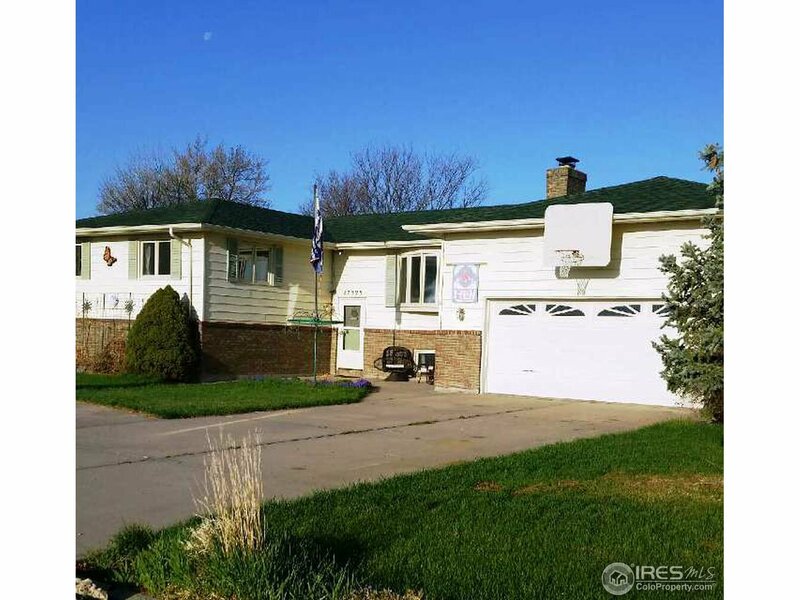 This home offers so many amenities and possibilities, with an inviting living room, kitchen with a pantry, breakfast bar, granite counter tops. Opens to a huge family room that you can cozy up on the cold winter nights in front of the fireplace. You can make the expansive basement into a versatile space complete with kitchen or design a bar. Extra-large master suite, with walk-in closets!" "Look no more for that perfect MOVE-IN READY home! Vaulted ceilings and open floor plan. Custom designed kitchen with maple cabinetry, granite island with breakfast bar and high end appliances. Spacious bedrooms and updated bathrooms. Walk out basement with family room, rock fireplace and wet bar. Private wooded setting with a beautiful, mature landscaped lot. Large back deck and patio areas ready for that outside entertaining. Over sized 2-car garage with work area. You won't be disappointed!" "Let there be light! Spacious sun-filled rooms, vaulted ceilings and open concept design are just a few reasons to take a hard look! Wonderful kitchen has ample cabinetry with custom pull out shelves, granite counters and breakfast bar. Entertain a crowd inside or out on the back deck and privacy fenced back yard. Garden level basement has 4th bedroom, family room, 3/4 bath and great storage area under the stairs. Oversized 2 car garage has storage shelves and work bench area. Must see!" "SALE FELL THROUGH! SELLERS BATTLING FORECLOSURE!! TREMENDOUS VALUE WITH OVER 3000SF. WELL BUILT HOME. GREAT ROOM CONCEPT. 5 BDRMS & 4 BATHS. FAMILY/REC RMS DOWNSTAIRS. REMODELED KITCHEN WITH ISLAND & GREAT CABINET SPACE. NEW FLOORING UP. MASTER BEDROOM. MAIN FLOOR FULL BATH, 1/2 BATH ON MAIN FLOOR, AND 3/4 BATH DOWN. WONDERFUL COVERED DECK IN BACK. PRIVATE BACK YARD. OVER SIZED ATTACHED GARAGE WITH WORKSPACE AND EXTRA STORAGE. MANY NEW ELECTRICAL FIXTURES TOO. TAKE ANOTHER LOOK! AS-IS ONLY." 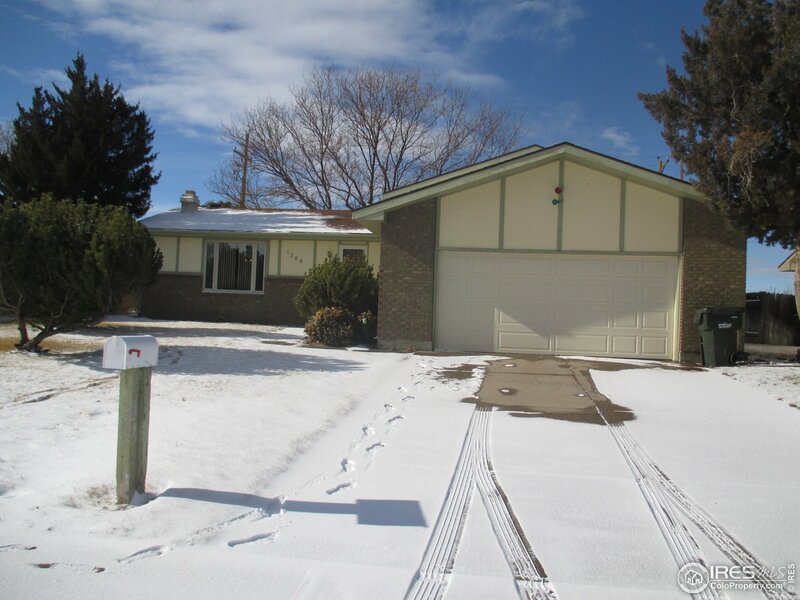 "Fantastic location and lovely sprawling ranch home. 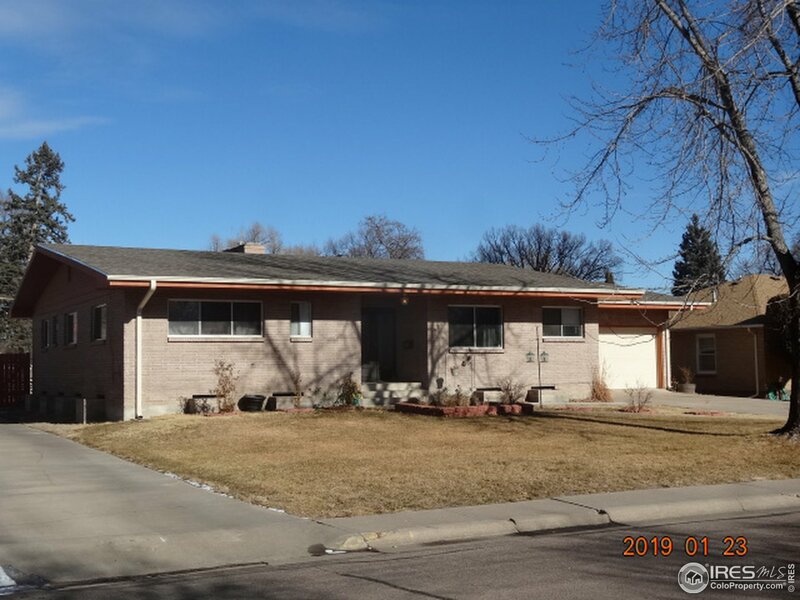 This stucco/brick home is move-in ready. Besides the oversize garage it includes a Lester shop 24x40 w/14' high door x 16' wide. 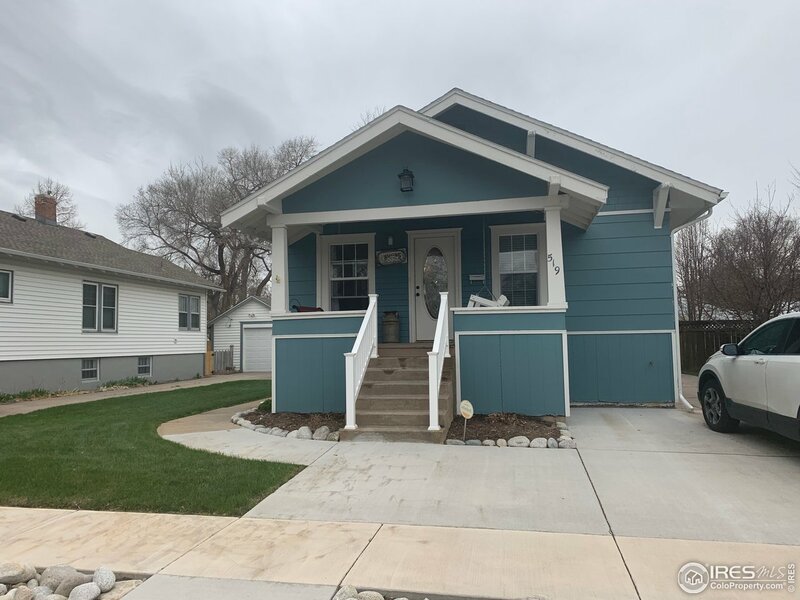 This beautiful home has 3 fireplaces, updated kitchen, 2 furnaces, 2 a/c units, heated garage w/pellet stove, some newer windows and is does not require flood insurance." "NEW NEW NEW! HAVE YOU BEEN INSIDE? Goose Bumps All Over will be your reaction as you step into this 4 bedroom, 3 bath OVER 3,000 sq. ft of luxury. No expense was spared when this home was remodeled 2 years ago, from the top-end ceramic plank flooring in the bathrooms, to the awesome kitchen island w/prep sink, custom tile and kitchen cabinets. Enjoy the cozy fireplace or the nice backyard patio. This also come with a brand new 2-car garage and storage shed. THIS IS A MUST SEE." 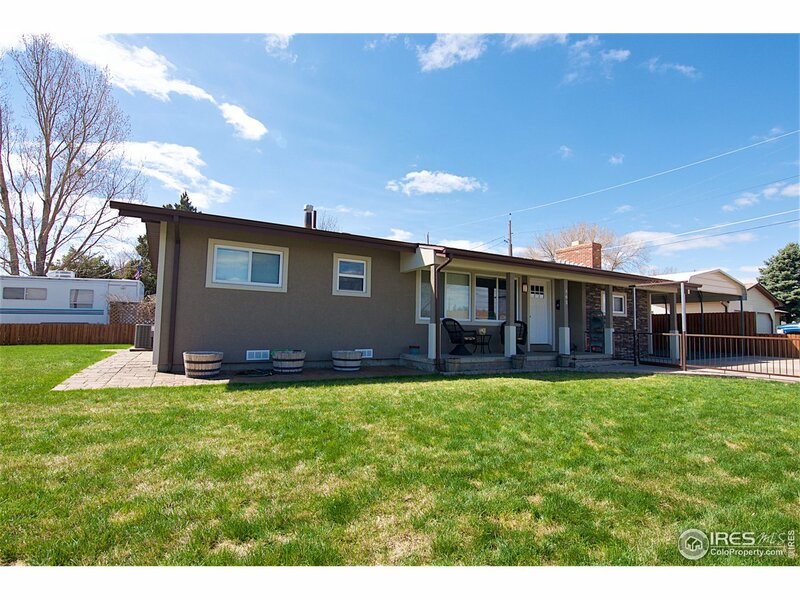 "Charming Raised Ranch 5 bed,2 bath home with many nice updates & unique features! Take a look at the Kitchen's beautiful Hickory Cabinets,new countertops, tiled backsplash, & floor with a spacious dining area. Cozy Master Suite w/two master closets & beautifully tiled master bath. Private Fenced-in Backyard is creatively landscaped, Low wattage lighting, lots of perennials, 2 nice patios,& storage shed.Man cave in the lower level is not to be out done! Too many features to list, A MUST SEE!!" "Summer fun starts here! Enjoy cool summer evenings relaxing on the secluded deck. Home boasts farmhouse appeal featuring quarts countertops, stainless steel appliances, and new ceramic flooring. Enter the spacious master suite through the sliding barn doors and find a large master bathroom with soaker tub, shower and walk-in closet. If entertainment is your gig, then this home is sure to check all your boxes! Call today to take a peek over the fence." "PRICE REDUCED! 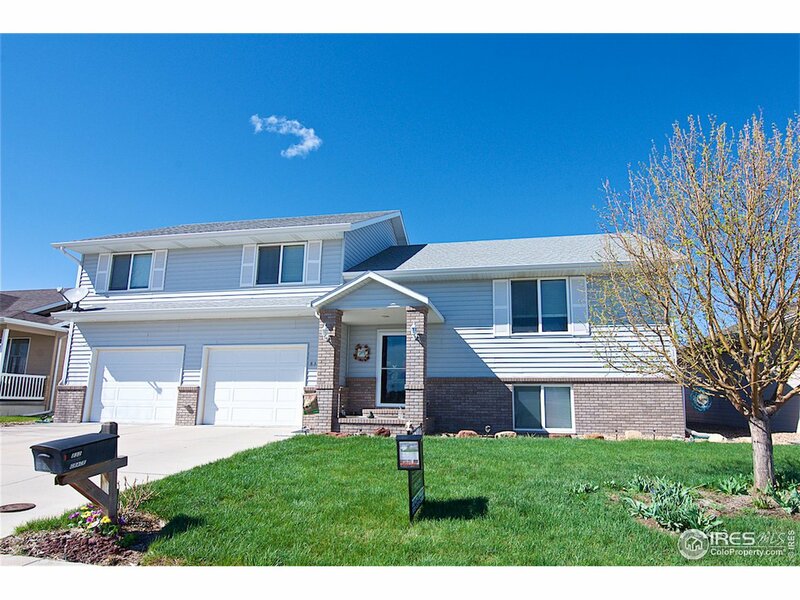 Less than 1 mi from Columbine Park is a freshly painted 4 level, 4 bed, 1.5 bath home w/ a remodeled kitchen & new flooring! Enjoy watching the sunrise from your master suite balcony! Separate dining room & den/office space. 1073 sf bsmt is ready for finishing 2 non-conforming bedrooms, family/game room and the roughed-in bathroom. Heated shop area in the garage is a handyman's delight! Investors check to see if this could be made into a multi-unit property." 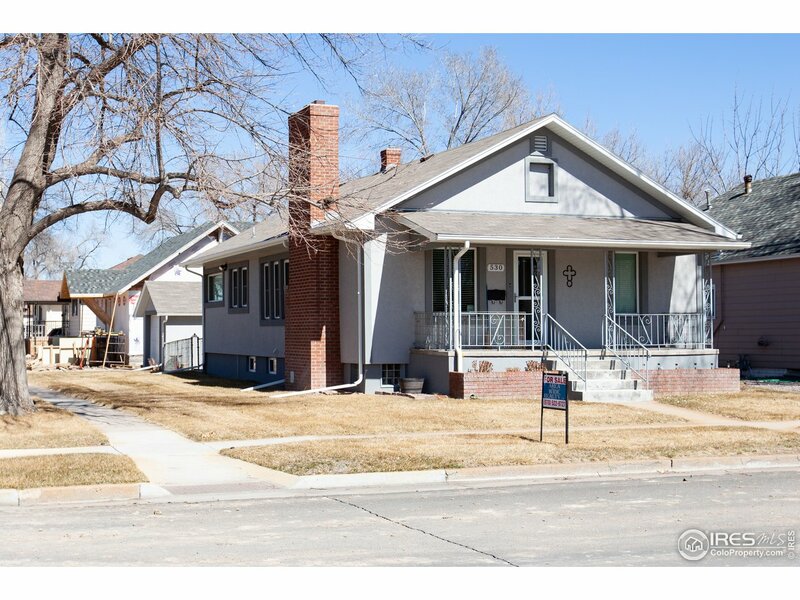 "This home features remodeled kitchen and baths, all upgraded water pipes and drain pipes. All appliances are stainless included with front load washer and dryer. Newer boiler for the heat and two wood burning fire places one up on the main floor and one in the basement.The home has a Malarkey 50 year roof large back partial covered patio with two storage buildings ans a dog run." "This cozy trilevel home features 2 fireplaces, Lg living room, family room, Galley kitchen with appliances included, Plus eatin area with patio doors going on to patio, separate dining room, 3 bedrooms, multiple baths, extra room for office, game room, or what ever you want, Covered patio, privacy fenced back yard, sprinkler system, oversized double attached garage with door opener. Carpet in Basement is approx. 3 months old"
"Reasonable notice required to visit property. Exemption approved Sept 4. See tract C on Survey Map/review in Documents. Home in good condition. New French doors. New back steps. Permanent pier foundation to County Code. New Septic tank and leach field. 156'X33' Morton Bldg w/concrete floor throughout; Divide north end into shop or garage area. 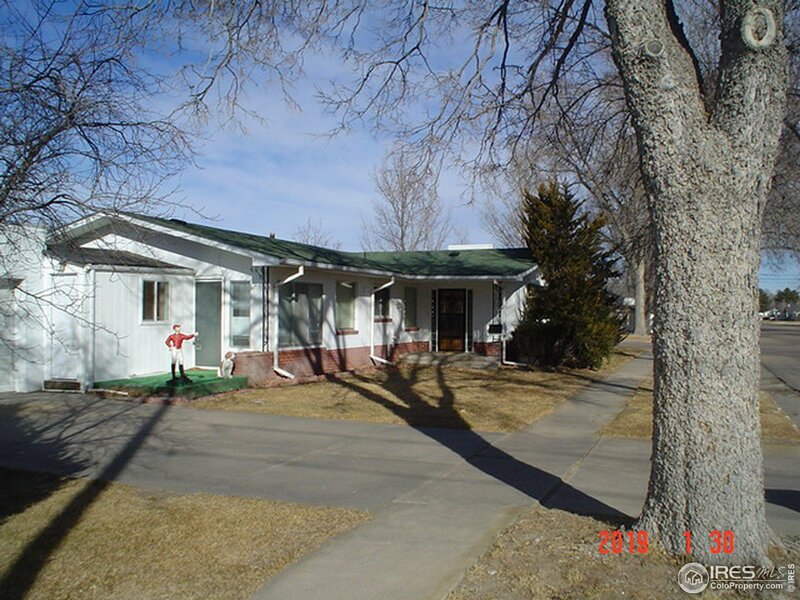 Conventional financing required due to high value of improvements ratio to Manufactured home. Excellent building site/custom home. Two Domestic Wells." "This Is It!! The Home you have been looking for. Come take a look at this beautiful kitchen, it opens to the family room, large rooms, freshly painted, daylight basement, new hot water heater in 2017, new garage door opener, sprinkler system, hail safe window coverings, beautiful yard with concert covered patio, fully fenced, central air, sump pump, vinyl windows, attic stairs access and shelving in garage, large shed in back yard, on County Express route. Don't Miss this One!!!" "Charming 1&1/2 story home with 4 bedrooms, 2 updated bathrooms, new laminate flooring in living/dining rooms, new carpet in all 4 bedrooms, all new windows within recent years, newly painted interior, Newer furnace & A/C, Huge 2 car heated garage with extra work space, and a nicely landscaped fenced in yard with brick walking paths, and RV parking. There is a large pantry and a mudroom just off of the kitchen. 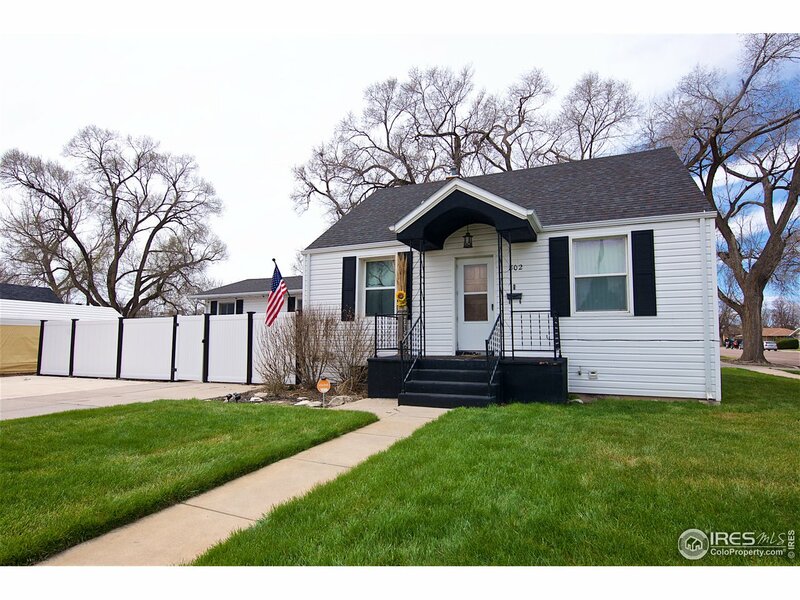 This home has been well loved and well cared for!" "2 FOR THE PRICE OF ONE. MAIN HOUSE IS 1526SF 2 BDRM 2 BATH 2 CAR GARAGE PLUS AN ENCLOSED BREEZEWAY. VINTAGE METAL CABINETS(GOOD CONDITION) IN KITCHEN. TWO QUALITY BUILT-IN CABINETS. SMALL FULL BATH OFF BDRM 1, UPDATED 3/4 BATH. SOME NEWER DOUBLE PANE WINDOWS. 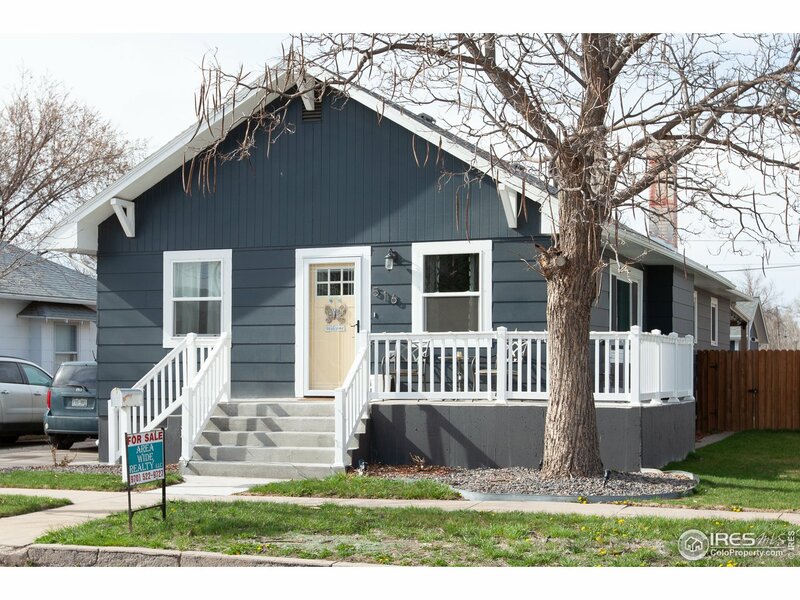 SMALL HOUSE IS 640SF 1 BDRM 1 BATH. MOST RECENT RENTS WERE $1100 AND $575 PER MONTH. UPDATED ROOF, 2 BOILERS, WATER HEATER AND A COUPLE APPLIANCES. LARGE ROOMS AND MORE SPACE THAN YOU THINK. MINIMAL BACK YARD." "GREAT SOUTHSIDE TOWNHOME! Come tour this open floor plan, sunken living room with fireplace, large dining area with patio access and kitchen with stainless appliances. The spacious bedrooms and lots of closet and storage space will make you want to make this Townhome yours. Main floor half bath and laundry with high dollar washer and dryer, add to your convenience. Heated garage has pull down storage. And best of all, the seller has spent $23,500 on NEW ANDERSON WINDOWS AND 2 SLIDING DOORS!" "Introducing Charm & Charisma.. Step inside to this stunning home that reflects originality and creativity in every room. Be impressed by the interior brick accents throughout the living room and master suite. Large wood burning fireplace in the master bedroom that is also gas-ready. Walk out the back patio doors to a well-maintained patio and large corner yard surrounded by a wrought iron fence. Shed has two storage areas, one that is insulated. The home demands action! Act fast. Call now!" 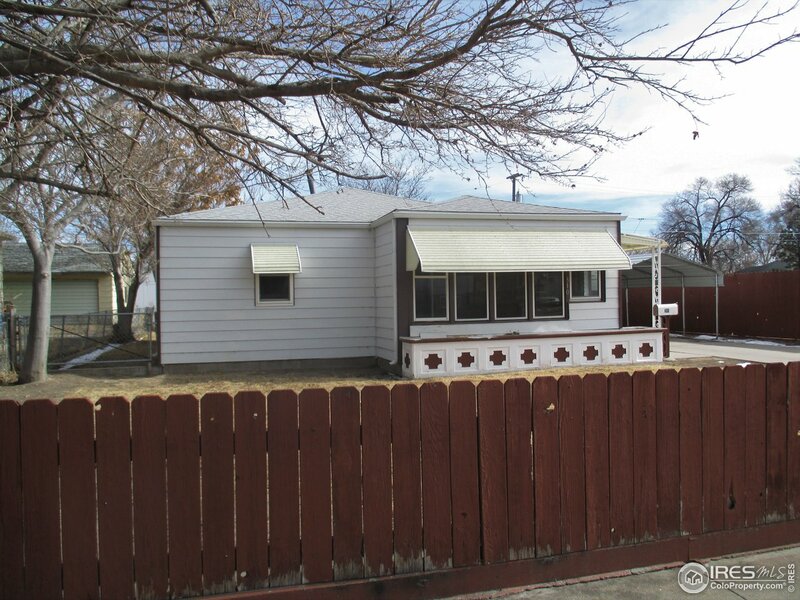 "Spacious 2 bdrm w/ recent updates including paint, flooring & remodeled bathroom. A 3rd bdrm was turned into a walk-in closet/laundry room, but could be used as a guest bdrm. Galley kitchen w/ Mason Jar light fixtures opens to the dining area & living room. Walk out the back door to a fun-filled yard with mature trees & landscaping. Make this move-in ready your new home! Please note that this home has tags in the electrical panel that indicate it may be a modular home or kit home." "IF UPDATED OLD WORLD CHARM is what you've been looking for look NO MORE! 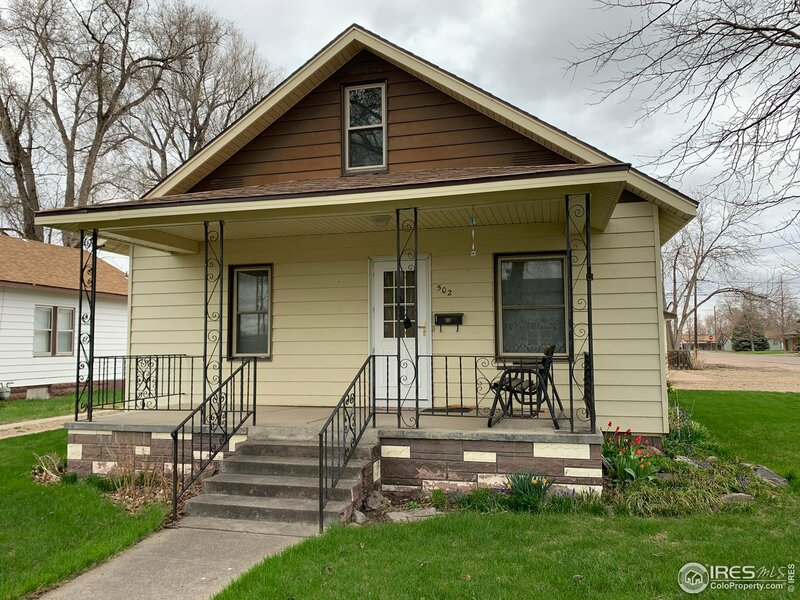 This 3 BR,1 bath, home welcomes you in with its perfect front porch, wood burning fireplace, extraordinary blonde maple cabinets and all new appliances. You name it this home has it, new stucco, windows, roof, new lush carpets in 2 bedrooms, and new laminate throughout. 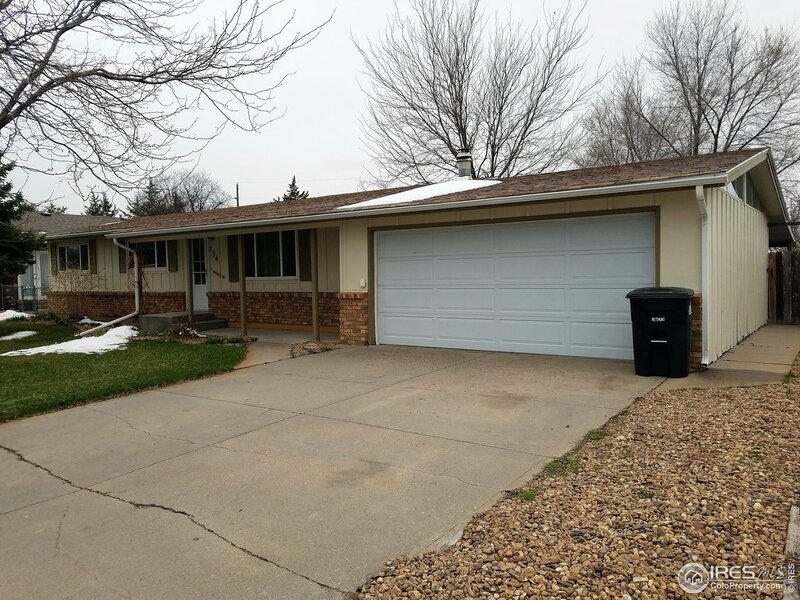 The mechanical part of this home have also been updated recently(a/c, furnace,hot water heater and sprinklers).Come look and buy. NOT IN FLOOD PLAIN"
"Spacious well built, well taken care of CLEAN 1 level 3 bedroom home Sellers are only second owners of home Over sized kitchen & living room with fireplace & window seat Storage galore Appliances included Plus extra fridge Dishwasher is new Some new plumbing & gas lines under home Whole house fan Sprinklers Steel siding Covered patio & deck Newer windows & roof & so much more. This is NOT a mobile home with an addition IT IS a STICK BUILT HOME Over 1,800 sq ft of living area Take another look"